Late last year, when we asked PR leaders to spot trends and offer predictions for 2019, several said regaining public trust was likely to be one of the priorities for communicators at brands and organizations. "Trust, fundamentally, will be the greatest challenge for communicators," said Rob Stoddard, SVP, industry & association affairs, NCTA – The Internet & Television Association. It’s not surprising trust was on the minds of communicators. The NY Times published a 5,600-word exposé of Facebook just days before. 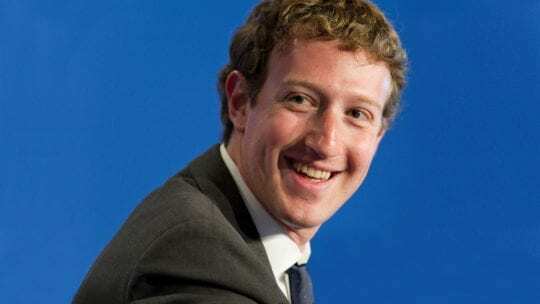 The article blasted Facebook for allegedly engaging in a slew of sleazy practices, including hiring a PR firm to find dirt on competitors and spreading it. The article also charged Facebook with suppressing potentially damaging information about unauthorized manipulation of its users' data. Facebook chief Mark Zuckerberg fared poorly in the article; COO Sheryl Sandberg even worse. At the same time swirling around were stories about longtime CBS chief Les Moonves, who was fighting sexual harassment allegations. Tesla chief Elon Musk was blasted for his Twitter outbursts. Google CEO Sundar Pichai faced employees (and Congress) angry about the company’s work on behalf of China. And it was a rocky year for the papa of Papa John’s Pizza, John Schnatter. Despite the difficulties CEOs and brands experienced in 2018, they emerged victorious in the 2019 Edelman Trust Barometer, release in Davos yesterday. A main theme in the survey is that the public trusts businesses and CEOs most to right society’s ship. The survey says trust shifted “profoundly” in 2018; "my employer" now is the institution people trust most. As was the case in the 2018 report, the 2019 survey of more than 33,000 people in 27 countries found trust declining in traditional figures of authority and institutions. President/CEO Richard Edelman says peoples’ trust has shifted to “relationships within their control, most notably their employers.” As for Facebook and other social channels, he adds, "…people have lost confidence in the social platforms that fostered peer-to-peer trust.” Trust in social media as a news source remains low at 43% globally. My employer (75 percent) is significantly more trusted than NGOs (57 percent), business (56 percent), government (48 percent) and media (47 percent). Of interest to communicators, 76 percent of people surveyed say they want CEOs to lead the charge on social and economic change. They've grown tired of waiting for government to solve these problems. 71 percent of employees believe it's “critically important” for “my CEO” to respond to challenging times. Brands can be profitable as well as change agents, 73 percent believe. Nearly 70 percent of employees expect their employers to join them in advocating on social issues. Yet it’s a two-way street. 74% of employees have expectations of personal empowerment, 80% expect job opportunities. The payoffs are clear, though. Companies that make social change a priority, the survey says, will gain greater commitment from workers (83 percent), find their staffers will become advocates (78 percent) and will be more loyal (74 percent). Employees who trust their employer are far more likely to be engaged, the survey says. These staffers will remain far more loyal (38 points) and committed (31 points) than their more skeptical counterparts. Trust increased in 12 of 15 sectors, with technology (78 percent) remaining most trusted. Manufacturing and automotive were second (70 percent). Financial services jumped slightly to 5 percent, but again was the least-trusted globally. Trust in online search and trust in traditional media are tied at 65 percent, their highest levels. Edelman divides respondents into two camps: “the informed public” and “the mass population.” The informed public’s trust stands at 65 percent, with the mass population less trusting, at 49 percent. It’s the largest trust gap between them that Edelman has ever seen in the nearly 20-year history of its survey. An interesting note for communicators: 58 percent of general population employees look to their employer to be a trustworthy source of content about contentious societal issues. It seems clear that the mass population is pessimistic. Just one-in-three mass population respondents in the developed world believe his/her family will be better off in the next five years and 70 percent desire change. Both sectors agree the system is broken, though. Just one in five believes the system is working for them. This gap between the mass population and informed public indicates “a continued underlying rot in the structure of society," says Edelman’s global reputation chief Stephen Kehoe. Based on the survey, he expects protests such as the Gilet Jaunes in France and employee walkouts at major tech companies to “become more mainstream." Another expression of the lack of trust and the rise in pessimism and concern is the surge in engagement with the news. Engagement with news jumped 22 points from the 2018 survey. 72 percent of people say they consume news weekly. In addition 40 percent not only consume news once a week or more, but they also routinely amplify it. Still, 73 percent worried about fake news being used as a weapon. Another point of interest for communicators is that there’s a gap between the genders on trust. Women have less trust in institutions than men. The gender trust gap is at 11 points in the U.S.